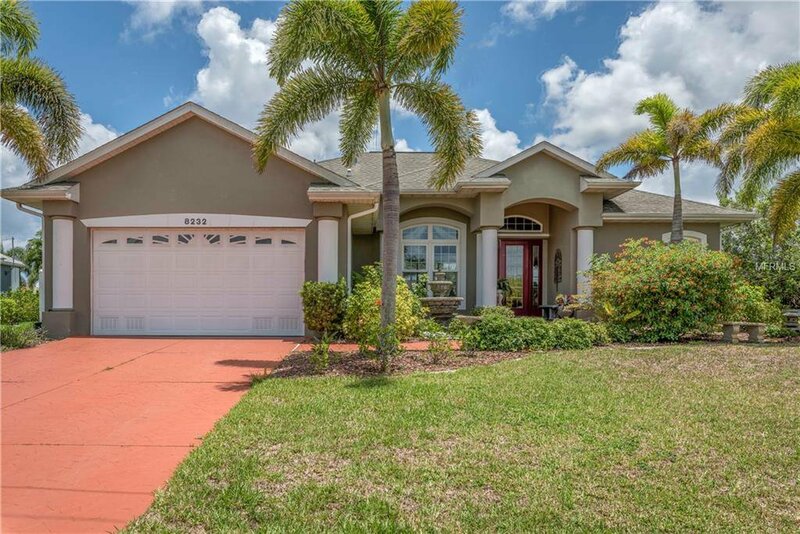 MOTIVATED SELLER***WATERFRONT***Heated Pool Home with DOCK & LIFT. 1 bridge out to the Myakka River/Gulf Access. A Beautiful and Well Maintained 3 bedroom 2 ½ bath with many quality built-ins, high ceilings, lots of wood accents and No Carpet. Tile and Laminate Flooring. Glass sliding doors in family room, living room and master bedroom so that you have views of the canal and pool. 30' x 8.5' Concrete Dock with water/electric and a 6,000 lb. lift. Freshly painted interior walls. Seller ready for a quick closing. Furniture available under a separate contract. Listing courtesy of Tarpon Real Estate Inc. Selling Office: TARPON REAL ESTATE INC.